Bring classic elegance with a twist to your kitchen with a fresh design and innovative concepts from Armony Cucine. 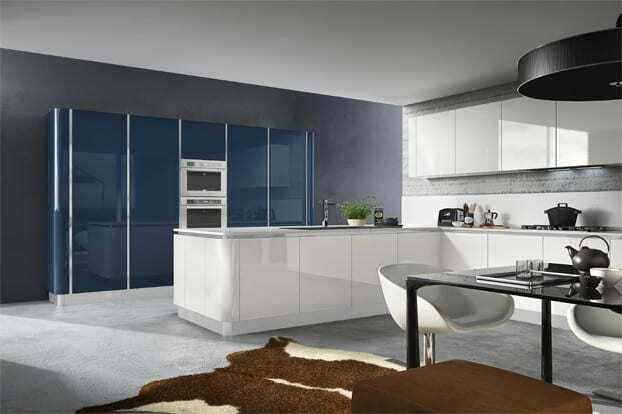 The Sigma kitchen features the exciting trends in contemporary Italian design. The sleek, minimalist outlines of each element are cutting-edge in European style and built with quality Italian craftsmanship. The Sigma adds originality and personality to the place in your home that is central to social gatherings: your cuisine. 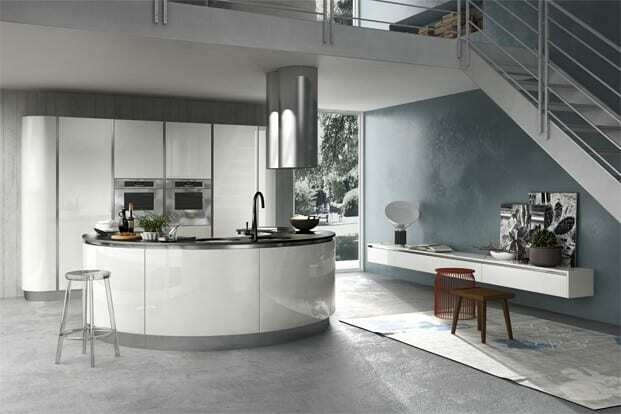 The highlight of the Sigma kitchen by Armony Cucine is the curved, C-shaped island counter with an integrated sink. 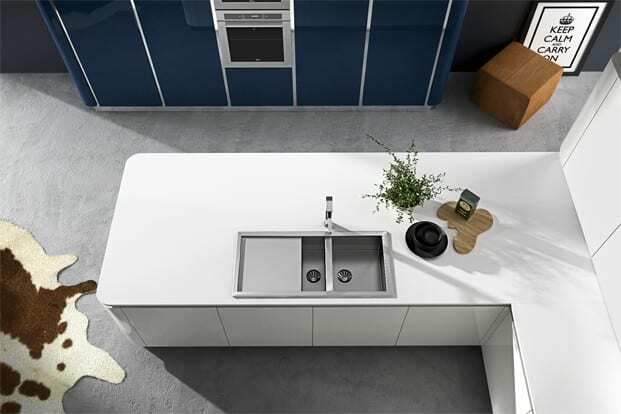 The designers at Armony Cucine re-imagined the traditional square or rectangular island to create a workspace that is unique and contemporary as well as more functional and convenient than ever before. With an entire countertop all at your fingertips without taking a step, you can challenge yourself as a chef the same way the Sigma kitchen challenges traditional design. Large built-in wall cabinets that extend from floor to ceiling offer plenty of storage, and serve as the backdrop for the integrated oven. To extend the look of the Sigma kitchen outward and into the rest of your living space in a seamless transition, use the slender dining table, modern chairs, and floating shelving to create a complete living environment. The innovative forms need no ornamentation to get attention, resulting in a clean and simple look ready for your lifestyle. 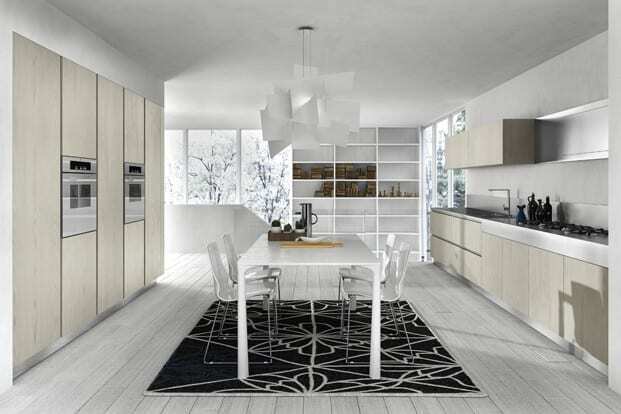 Are you ready to make a splash with the Sigma kitchen collection from Armony Cucine?